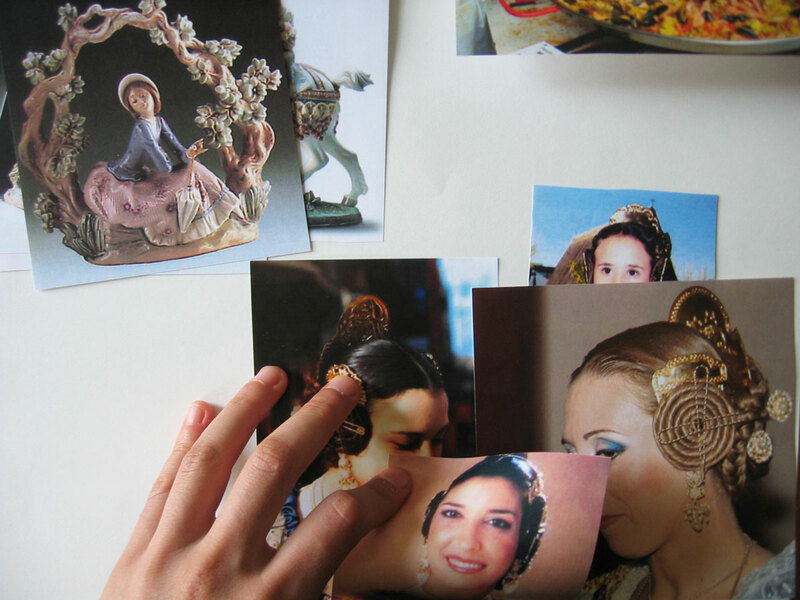 Esquivias during her artist residency at Schloss Solitude, where she made part of her video Of a short stay (2010, 2011), now on view at the Hammer. This interview was conducted by electronic mail. Questions were composed by the Hammer’s new media associate Amanda Law. 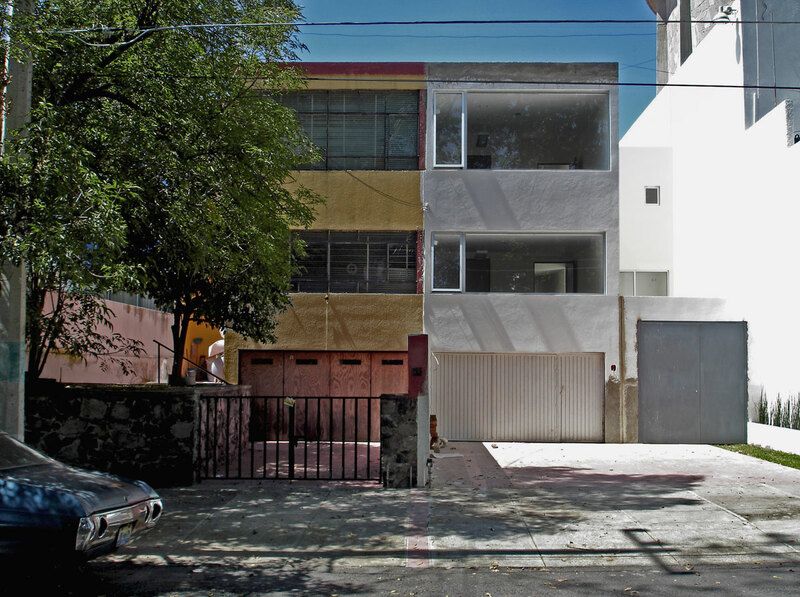 Look for more information on Patricia Esquivias's Hammer Project here. AL: Have you always worked with video? What drew you to the medium? PE: I started using video in 2005. Previously I had been making works with text but I was always unhappy with the material results of the finished works. I liked what I had to say but I didn't like how it looked. With video I could say it and it could be brief, and the image became something to play with. In the beginning it was a liberating discovery. Patricia Esquivias. Still from Of a short stay, 2010, 2011. Two-channel video, color, sound. 10:02 and 1:31 min. Courtesy of the artist and Murray Guy, New York. AL: When and why did you begin with the camera-on-laptop/hands setup? PE: It all happened at the same time, I wanted to show how things happened, how I was there doing them in that specific moment. The laptop was there because it was what I usually had at hands reach, the only tool I could somehow work with. AL: How do you prepare for filming these videos? Do you rehearse? PE: Most often first there are months of thoughts going round in my head with some note-taking, image preparing, reading, walking, then I set up the camera and go. Many times it turns out that I wasn't ready and I have to wait a while longer for ideas to set properly. Other times I continue going on that first attempt until something I like happens. Patricia Esquivias. Still from Folklore I, 2006. Single-channel video. 14:43 min. Image courtesy the artist and Murray Guy, New York. AL: In many of your videos you navigate between video clips on the laptop to photographs you hold in your hand to handwritten pieces of paper, but why don’t you just show everything on your laptop? PE: Some things are made for the screen and I don't want to take them out of it. Other things I need to be able to move around and place next to others to make connections, they need to be free from the screen. It also leaves options for chance and error. It's also important for me to use the screen as a material, like any other material that a sculptor might use. AL: I find your work very humorous. How does humor function in your work? PE: As counterbalance to the pathos. I could say maybe also as a tool for understanding but maybe it is more accurate to say it is a result of understanding. PE: I would think not, but that is a very difficult question. I never thought that the videos could go on YouTube because it is too big, tough and frightening. I have been very moved by certain things that I have seen on YouTube and always thought that my work didn't come from the right place to be able to have the effect I wished if placed on YouTube. I always thought that I had to create some sort of safe environment to watch them, something far away from the things that they show. PE: I think that usually I am interested in finding out how things have ended up being how they are when I encounter them. Generally I am always imagining people to answer my questions but I rarely meet these people. But rereading the question I see you say "news" and I had read "new". In news probably like you, human interest, although I'm not sure how many kinds of stories there are, but I don't see/read much news anyway. AL: How much time do you spend on your laptop every day? PE: Most of the day, apart from time for going for walks. Patricia Esquivias. Still from Reads Like the Paper, Group IV, 2009-10. Single-channel video, color, sound. 17:35 min. Courtesy of the artist and Murray Guy, New York. AL: You have lived in many places in your life. Where do you consider home? How would you describe “home”? PE: At the moment I am living in Madrid, which is the place where I have spent most of my life, however I don't particularly consider it home. Here I have a house where I have my belongings and where I feel good, there is something about the house that makes me feel it is home, but it is a kind of island. I guess the two variables that are most important for me in any place are friends/family and a living space in which I feel good.